As a rule we don't do referee bad mouthing at VERYWESTHAM.COM. It's a hard job in the middle and its important that referees are respected and develop the confidence to make hard decisions, especially against home sides when 60,000 fans are bellowing for a call. 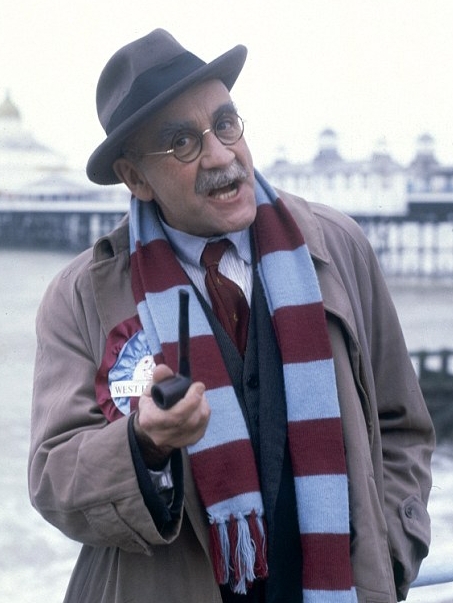 However, West ham can feel mighty disappointed with Referee Stuart Attwell tonight. Attwell caved in at the Etihad and awarded the Moonies a dreadfully soft penalty mid way through the second half when, in all honesty, Man City were starting to look short on ideas. Bernardo Silva went down on the edge of the box, travelling in no particular place of note under a fearsome challenge from that fearsome man mountain Felipe Anderson! Sergio Aguero stepped up to take the penalty and duly silenced the thousands of travelling West Ham fans who had until that point been endlessly sniggering at his truly crap hairstyle. Think Gazza Euro '96 gone wrong! Even with that immense leg up, City still didn't look like stretching things and at the end of the day West Ham can feel pretty sore at yet another poor refereeing decision against them in games against the top six. In Attwell's case, it wasn't even in his top ten of poor calls as he is credited with perhaps the most ridiculous refereeing error of recent history when in a Championship game between Reading and Watford in September 2008, he awarded Reading a goal for a passage of play where the ball did not go anywhere near the Watford goal! He was demoted from Premiership responsibilities in 2012 after a series of poor performances, being reinstated in 2016. Hammers fans will hardly be thanking the FA for that call, as just when the game is trying to get on top of players cheating by going down too easily we have this type of supersoft nonsense. Its hard to imagine West Ham getting a similar decision at the other end. In summary......Bull-Skutter, Balderdash, Codswallop, Poppycock!!! The teams have been announced for tonight's clash at the Etihad and Manuel Pellegrini has pulled a real shocker! No Noble or Arnautovic, Andy Carroll starts up front and is Captain, and we have gone for youth and pace over experience at full back with Ryan Fredericks and debutante 19 year old Ben Johnson - both naturally right sided! It's pretty crazy stuff but maybe Pelle accepts the bookies perspective who have recognised that West Ham have very poor recent away form while high flying City have won 13 out of 14 home games this season. To add to the total terrifyingness of the whole thing, City have a pretty full squad available. Hmmm. West ham are 33-1 outsiders with William Hill who have city at 14-1 on and the draw an outside bet at 10-1!!! Subs: Adrian, Zabaleta, Noble, Snodgrass, Lanzini, Diangana, Chicharito. West ham commenced their charge to the top of zone two of the Premiership in earnest tonight with a 3-1 win over misfiring Fulham. In truth, the Hammers made hard work of things gifting an early goal as Pablo Zabaleta had an astonishingly poor start. However, Pellegrini's troops kept their cool and gradually overcame Fulham who fought bravely but look to lack the quality needed to maintain Premiership status. The big talking point will undoubtedly be Chicharito's hand of God goal that got the Hammers back on level terms, but in reality awest ham had 12 corners to Fulham's none and 21 shots to Fulham's 8, underlining the home dominance. Tasty headers from Issa Diop and Michail Antonio in his 100th game proved the difference and now with ten wins in the bag West Ham can go in chase of Watford who lead the second tier clubs with 40 points in 7th position. If both League and FA cup go to top six clubs the 7th will be a Europa League qualifying finish which would represent good progress for Pellegrini in his first season. With Arnautovic looking hungry and focused agaon, Lanzini back in action and a host of other big names returning to fitness a push forwards could well be on. However, Man City will be a tough test having glided to a 4-0 win at the London Stadium in November. In truth, West ham had very little reward for a decent effort that day and could possibly spring a surprise at the Etihad as City have a lot going on just now. Irish eyes were smiling again at West Ham as Leanne Kiernan made a memorable return from injury with an impressive performance and a goalscoring hat-trick in an 8-1 thrashing of poor Huddersfield Town. The 19 year old striker hails from Bailieboro in Cavan and joined the Hammers in the Summer from Shelbourne FC in Dublin has been unlucky to be out after sustaining an injury in her last performance on September 30th. 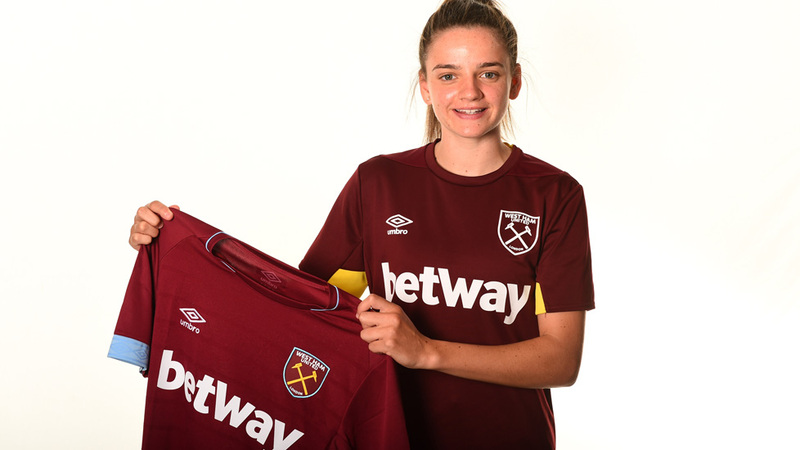 The skillful and pacey striker marked her return with a Woman of the match performance as the Hammers booked their place in the quarter-finals of the SSE Women’s FA Cup. After the terrible disappointment about Declan Rice's international U-turn, Irish Hammers are smiling again! In devastating news, Irish Hammers have woken to the reality that Dekky Rice won't be leading the boys in Green as we booze our way across the globe celebrating participation at any tournament that will have us! Sadly, he has instead opted to engage with the fashion parade that is team Engerland. While you have to respect the lads decision, it's hard not to worry that he will find himself treated like so many Hammers in previous years and left out of squads because he doesn't play with one of the top six clubs....an even bigger worry is that all of this Engerland stuff may ultimately result in his leaving West Ham for one of the 'cherished' clubs. Grrrr. As such. Declan joins the ranks of Hammers who have opted to go for England and missed out on the opportunity to be national heroes in Ireland and enjoy endless International game time in a squad that is known for its camaraderie. let's hope he fares better with his England aspirations than Mark O'Noble, Kevin O'Nolan and (probably) Billy O'Bonds! Only time will tell. Whatever else, please lets not have another Dean Ashton experience! 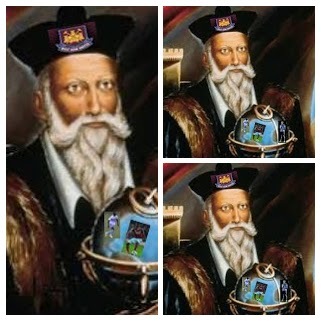 From VERYWESTHAM we give respect and wish him the best of luck, albeit with great disappointment and sadness. West Ham's clash with Crystal Palace may on the surface seem like a routine affair with modest pickings at stake (bragging rights for the Hammers / revenge for the Eagles), but at West Ham many will be playing for their Hammers careers while Palace are still well short of the points tally required for survival. That said, West Ham fans are already looking to next season and we can expect an even bigger overhaul than Pellegrini's entrance last Summer when he brought in nine new faces - many of whom form the spine of future success (Fabianski, Diop, Anderson) while the faith he showed in Declan Rice is as good as an additional £50m signing. With all that in mind we give you our latest offering from the surrealist circus: Julien's Faux Pas #11. After Monday night's heroics where a poor call from the referee's assistant robbed West Ham of a deserved win, its hard to know what to expect today from Manuel's moody bunch as they take on Crystal Palace at Selhurst Park. Palace will be missing ex-Hammers Kouyate and Tomkins, who are both injured, but have both Benteke and Batshuayi available to partner Saha in their attack. The Hammers, meanwhile, have Mad Marko back - the smart money is thus on a high scoring encounter as both sides look better in attack than in defence. Mystic Mark Lawrenson has opted for a fence sitting 1-1 draw, Paul Merson reckons Palace will sneak it while the bookies favour a home win (11/10) over a draw (5/2) or Hammers win (5/2). With Cresswell and Fredericks looking more assured at full back and both Anderson and Antonio in top form to support Arnautovic up front, we reckon the smarter bet is on a Hammers win. Rory Nostradamus is calling a 2-1 win for Pelle's men which you can get 12-1 against. Here we go. With West ham in disarray since the New Year, our top striker scoring minus points for loyalty and our defence suddenly leaking goals by the bucketload, all we need is a red hot title chasing Liverpool side arriving at the London Stadium! Messrs Salah, Mane and Firmino ripped West Ham apart on the first day of the season dishing out a 4-0 thumping and will undoubtedly be relishing the prospect of carving the Hammers apart over the wide open spaces of the London Stadium. Even better, Manuel Pellegrini doesn't believe in trying to park the bus so we can expect a toe to toe encounter. The problem is that the Reds have massive punching power up top while we lack a happy striker right now. The bookies have made their views very clear with the Hammers at 7-1 against for a win, despite being the home side. Even a draw is 4-1 against!!! 'Reliable' inside sources suggest that Arnautovic is 25% likely to have recovered from the bruised foot that threatens his participation, but in all honesty the recent Marko has been a pale shadow of the Pre-Christmas version who was happy to laed the line with passion and guile. Otherwise, the good news is that Aaron Cresswell looks likely to recover in time to replace the hapless Arthur Masuaku. Tragically for Liverpool, Dejan Lovren is likely to miss out, but that may be a blessing in disguise. That said, its under the lights and we can expect a backlash from a Hammers side who were heavily criticised by Manuel Pellegrini after their dreadful performance away to Wolves last Tuesday. Remarkably, we managed to play even worse than we had in conceding 4 goals to Wimbledon who are bottom of League One just 9 days ago. Let's hope that we can come out like a wounded animal and surprise Liverpool with our intensity. Declan Rice will surely welcome the chance to take on Jordan Henderson and Co., while Felipe Anderson is always capable of producing a moment of genius. failing that, Big Andy still has unfinished business with his former employer and is starting to get back to something like proper fitness. All in all, it's a David vs Goliath situation, but as all Hammers know, when you write us off we are at our most dangerous! Are you listening Mr CyKlopps? 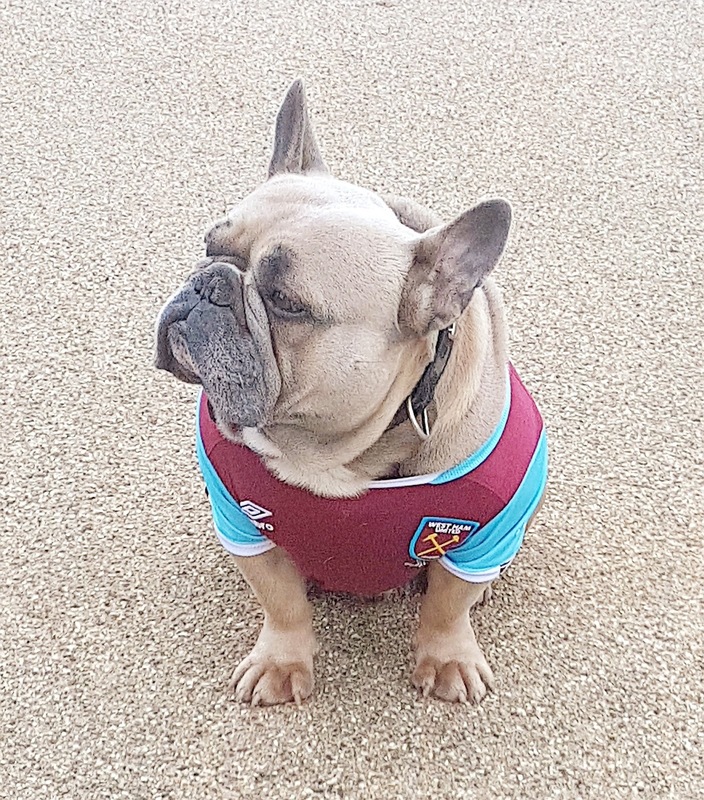 West Ham were enjoying a decent season - a poor start as the new Pellegrini way bedded in - but then they seemed to have found their mojo with a string of excellent performances including humbling Man United and Arsenal. Then top striker Marco Arnautovic announced that he wanted to defect to China! After much squad-unsettling shenanigans, it appeared that the club had agreed a deal with him to stay, at least until the Summer. problem solved. Well no, actually. The whole business seems to have upset the clubs rhythm and after an excellent record-breaking December, they had had a series of really disappointing results including an embarrassing cup exit to League One Wimbledon and a humiliating display against Wolves last week. Understandably, fans are wondering what has gone wrong. Trevor Turnstile, a season tickey holder in the Bobby Moore stand has come up with one intriguing explanation for the clubs sudden demise. Speaking from his backgarden manshed in Pitsea, Trev has revealed that he is pretty much certain that Arnie has been bought by a Chinese club who have then cunningly replaced him with a crude plastic facsimile. With China known for the production of cheap imitations, this may not be as whacko as it sounds - It's hard to equate the Arnautovic on show against Wolves with the real abrasive and incisive Marko! He hardly touched the ball, made few of his trademark energetic runs to create space before finally limping off with an 'injury' having barely influenced proceedings. However, other fans have been quick to note the one similarity with the 'real' Arnautovic - the media reports have once again been all about him this week as we have sweated over his fitness for tonight's clash with Liverpool.